There’s a ghost in my house, too. There’s been a running story going around my family for about ten years now that a ghost can sometimes be seen traversing the small hallway between the half-bathroom and the basement stairs. Nobody takes it too seriously, however, as she has only been seen a handful of times and even then, only in the periphery of one’s vision. I can claim to have seen her a few times, her billowy off-white clothing resembling those outfits that Stevie Nicks would proudly claim as her own. She’d float on past, disappearing behind the wall above the steps in the one second of time that it took for me to turn my head in response to this phenomenon in my peripheral vision. She’s never made a sound. She’s never moved an object. She’s never appeared in plain sight before anyone. We don’t really believe, any of us, that there is a ghost in the house. We all realize, especially those who have seen this ghost, that the visions are just a trick of the eye or the light or of our own imaginations. There’s a light fixture in the basement that has a short in it, causing the light to flicker at inopportune times, sometimes adding to the illusion of it all. My wife has her own ideas about the flickering light and the spirit that inhabits it, but this is my blog. She’ll have to tell you that story some other time. I think that most people can tell a good personal ghost story. Whether or not their experience contains a real ghost or not is irrelevant. After all, an unexplained ground phenomenon is no different from a UFO sighting. It’s simply a situation that the witness can’t explain. I also think that those who have the best stories to tell tend to keep them to themselves. It is my opinion that those that are the most outspoken about these things are the least likely to be telling the truth about the matter. These are the people whose stories are debunked. I don’t know why people who see such things would want to go on television to tell their stories, unless it’s for the paycheck. It seems to me, that by announcing the presence of a spirit (or an alien), you’re going to piss that entity off and it just might come looking for revenge. I mean, who’s to say that a ghost has to stay in one building? They might come across town to get you if you go blabbing your mouth too much. So here’s where I’ll be careful. I have a REAL unexplained ground phenomenon to tell you about. Shhh. I’m not out to wake up any dormant spirits. When I was 14 I was messing around with a couple of neighborhood kids in an old, abandoned barn that was not far from my house. We were engaging in general mischief, vandalizing the few leftover items that were lying around and chopping through a wall with an old, rusty hatchet we’d found. Twenty years prior, someone had walled off a section of the barn and had put in a concrete slab, essentially turning that portion of the barn into a cozy, one-car garage. There had once been a door that offered access from the barn to the garage, but the door and much of the drywall had been removed, leaving the skeleton of the studs exposed along the length of the wall. What I’m about to tell you I’ve only told a handful of people, maybe as many as eight. Certainly no more than that. At first, I couldn’t tell anyone simply because we’d been up there destroying things, engaging in chaotic and disruptive behavior. I needed time to distance my behavior from the event, even though I’d known that nobody had set foot in that barn since. I was careful. When I finally did tell the story, those who listened would usually stare blankly at me before telling me something like, “Woah, that’s radical,” or, “Geez, that’s crazy…” which it was. It was outrageous. After telling it to those I most wanted to impress, over a period of perhaps seven years, I put the story in my pocket and left it there. I started to realize that the story wasn’t impressing anyone. It was so unbelievable that I wouldn’t have believed it if it had been someone else’s story. Telling ghost stories is a good way to lose your credibility. Even now, I fear that more than I fear any ghost. I had separated myself from my cronies in the barn. As I remember it, they were in the loft. 29 years have passed since this episode. As I’m telling it now, I have no recollection of where they actually were at this moment, except that they were not with me. I passed the open doorway to the garage with my focus on something ahead of me. In my periphery, I caught a glimpse of something on the concrete slab to my left, pulling my gaze in that direction. There’s that “periphery” thing again. Only this time I had turned my head in time to see what was on the slab. Please, don’t get your dander up. This is probably going to be a bit anti-climactic for you. I didn’t see a person or a body or a zombie or a vampire. In my memory of the incident now, I was walking past the doorway in slow motion, the car in my sight for an eternity. Behind the wheel was a man who resembled Eric Bloom of Blue Oyster Cult. He was looking at me, grinning, and revving the engine, causing black smoke to pour out of the tailpipe. I’d apologize to Mr. Bloom for including him in my ridiculous yarn, except that I really don’t think he’d mind being part of it. This certainly adds allure to my story, except that I passed by that doorway in almost zero time and I know that I didn’t see anyone in the car as I passed it. 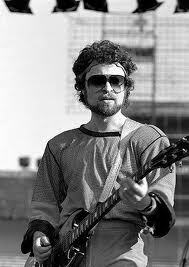 Besides, in those days I hadn’t even heard of Eric Bloom. I did, however, become frightened. Not because I thought that I was engaged in witnessing paranormal activity, but rather, because I thought that someone had purchased this property and had occupied it, and I was about to get caught trespassing and vandalizing their property. I stopped, backed up, and peeked into the garage. It was empty. No car. No smoke. No Eric Bloom. I’m pretty sure I know what you’re thinking. Cars don’t have souls. Cars don’t have spirits. Cars don’t leave their ghosts behind when they go to the junkyard. I didn’t understand anything about what I’d seen. All I knew was that I had to get the hell out of there… so I got the hell out of there. I never went back. Maybe six months passed, maybe a year. Then, a story about a man who had once lived on the property containing the barn had been brought up by a friend as we played video games on his Commodore 64 computer. Apparently this man had committed suicide sometime in the 1960’s by asphyxiating himself in a running car in the garage portion of the barn. My friend’s older brother had discovered the man the morning after his death. That brother was now a grown man with a family of his own, living miles away. “Was it a blue Volkswagen,” I asked. “Maybe.” He called to his mom in the living room. A few moments later, she appeared in the doorway. “What kind of car did Mr. ________ have when he, you know…” I’m paraphrasing. I’m not sure how he asked this question. 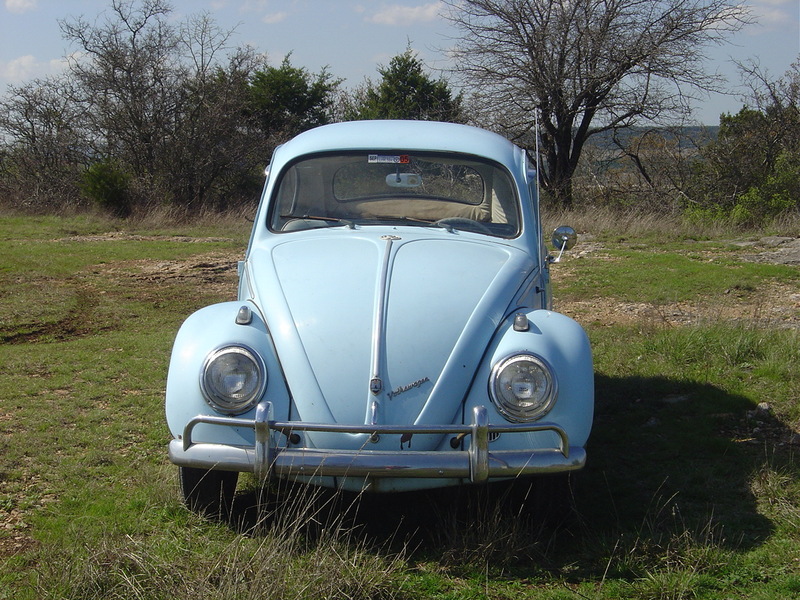 “Why, a Volkswagen Beetle,” his mother answered. So there you go. Either you’re creeped out or I’ve just destroyed my credibility with you. Either way, I think it’s a pretty good story.